The amount of attracted funds of natural persons of JSC "Russian agricultural Bank" exceeded 1 trillion rubles. The portfolio of physical persons with the beginning of the year increased by 18% (152,5 billion). In the intervening period 2018 private individuals opened in Rosselkhozbank more than 1 million of new deposits. The Bank has a broad and high-demand product line that meets the key needs of customers: attractive interest rates, of Deposit terms from 1 month to 4 years, with the possibility of replenishment and partial withdrawal. Flexible terms of deposits allow the Bank's customers to choose appropriate accommodation options in preferences: save money with the maximization of income, the accumulation of a certain date, and the ability to dispose of the funds in the account without losing the accrued interest. Maximum interest rate on deposits of individuals from 22 November 2018 is in rubles of the Russian Federation of 8.45% per annum, in US dollars 4,50% per annum, in Euro of 1.10% per annum. "Certainly, the growth in the volume of raised funds demonstrates the high level of public confidence in the Agency. Positive dynamics is due to a wide product range of Rosselkhozbank and the ongoing work of the Bank on improving services, including through the expansion of the functionality of the system of remote service", - said the First Deputy Chairman of JSC "Russian agricultural Bank" Irina Gutkina. The most popular deposits of the Bank are "Profitable" with a maximum interest rate of 8.00% per annum in rubles of the Russian Federation, of 4.00% per annum in US dollars and 1.10% in euros, the minimum initial contribution of 3000 rubles/ 50 USD/ 50 Euro and the choice of method of payment of interest and Pension Plus with a maximum interest rate of 6.85% per annum in rubles of the Russian Federation, with the expenditure transactions up to the amount of the minimum balance in the amount of 500 rubles and a market capitalization of accrued interest. 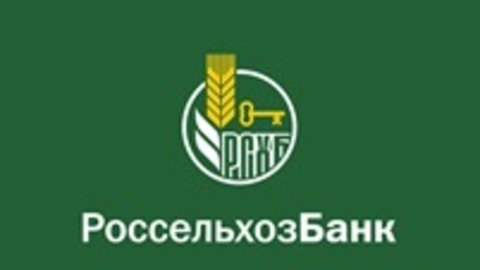 In December 2018, the agricultural Bank has offered current and potential customers a new tool for savings "Savings account" with the possibility of free disposal of funds and generate additional income (5% per annum in Russian rubles, 1% per annum in U.S. dollars, calculated on the daily balance of funds in the account).